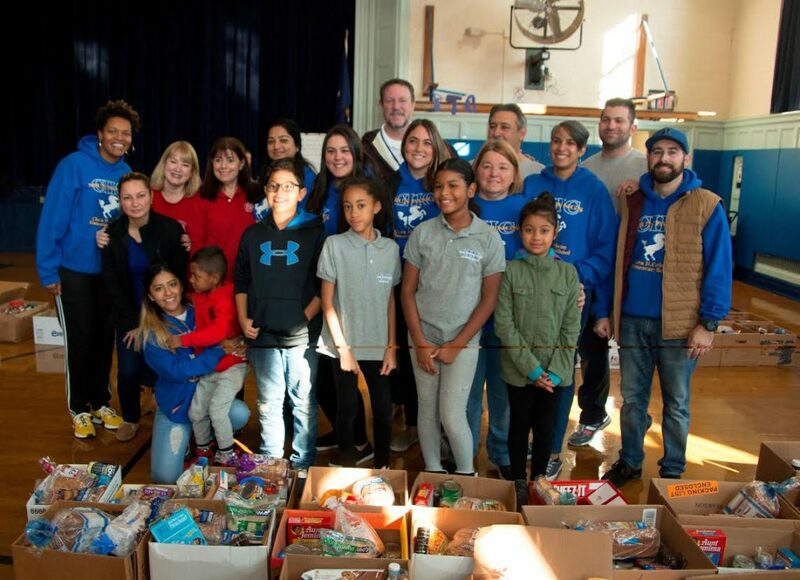 Sharing and caring were in the air as district students and members of the community gathered once again to show support for those in need during the Elmont Dad’s Club annual Thanksgiving Food Drive on Nov. 17 at Gotham Avenue School. 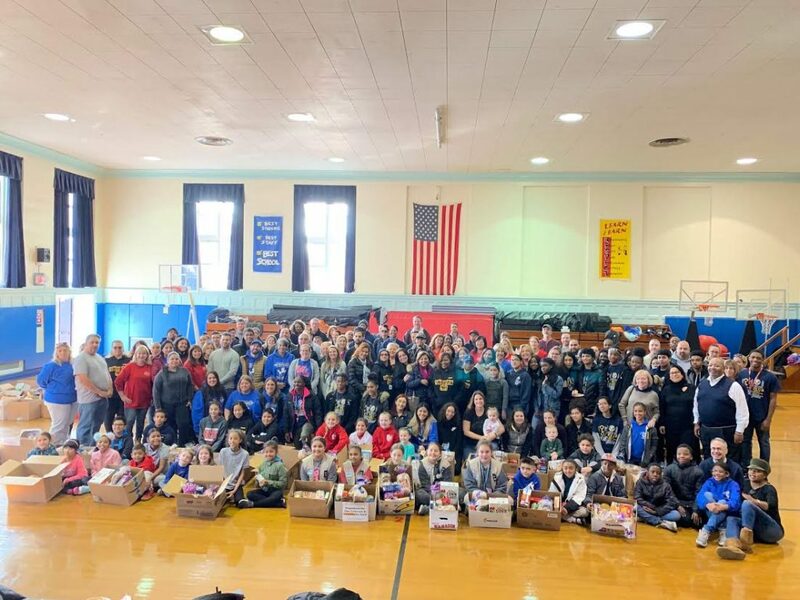 Elmont School District Superintendent Al Harper greeted the very spirited crowd of volunteers and expressed his appreciation to all those who came together to help the less fortunate. 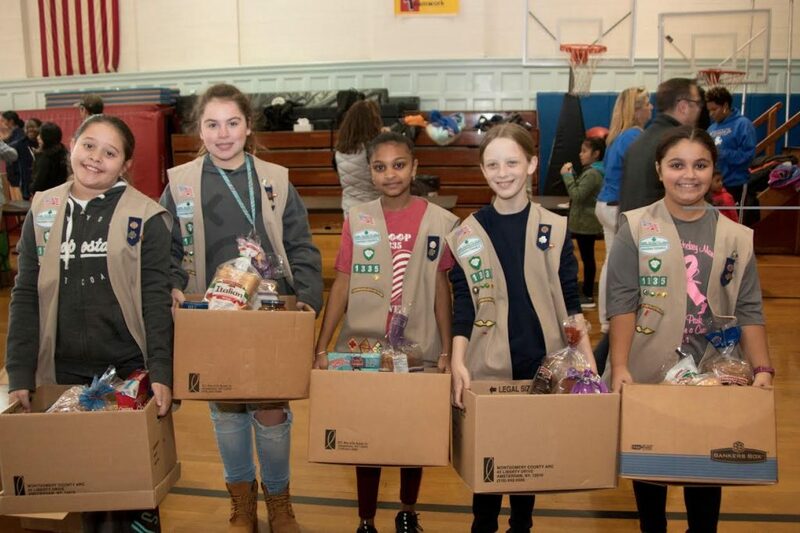 Brownie troops, soccer players, teachers and administrators were all on hand to lend their support and help box up meals. After the meals were lovingly assembled, volunteers proudly carried them out to waiting school buses for distribution to the local community. 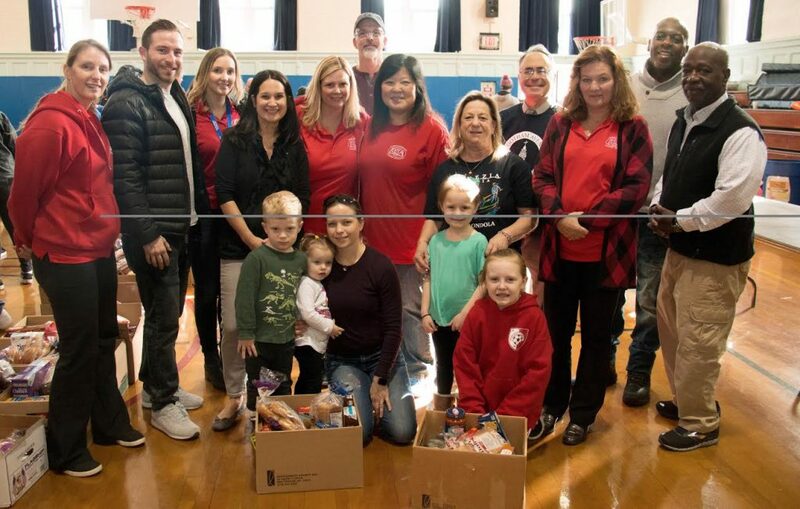 Mr. Harper commented how profound it was to him to think that the annual food drive began 14 years ago with only a handful of volunteers and has now grown into a huge event for the community, with hundreds of people getting involved in this wonderful show of caring. 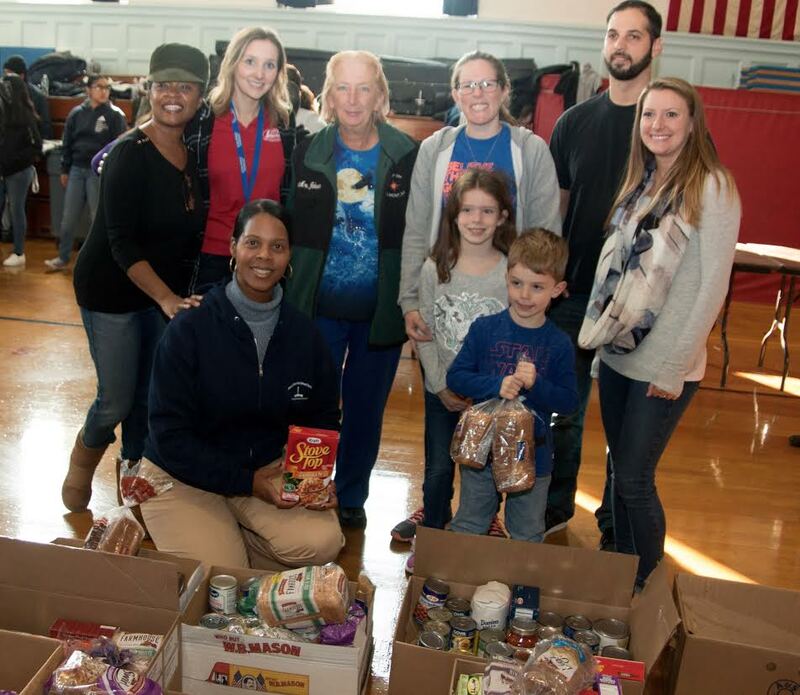 In all, 60 local families received turkeys and all the trimmings before Thanksgiving.